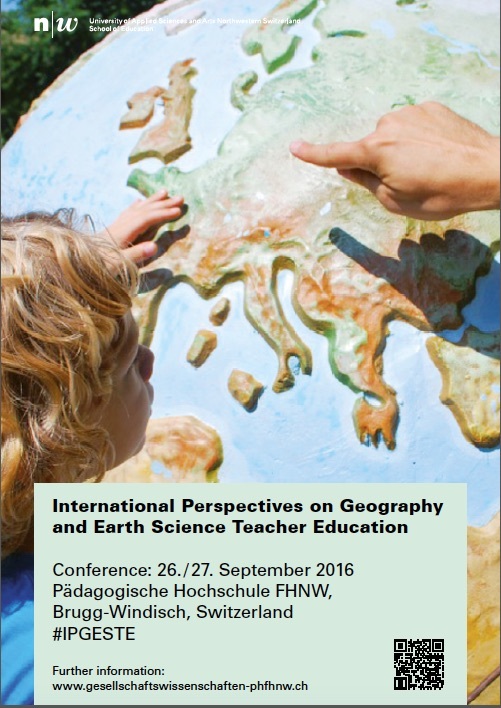 The two-day conference aimed at bringing together researchers, teacher educators, pre-service teacher students and in-service teachers focusing on teacher education in geography and earth science. People from 7 countries (4 continents) participated in the conference. The annual member meeting of VSGG (Swiss Association of Geography Teachers) also took place during the conference. We plan to have two conference publications. The first one is already out: the 05/2016 GeoAgenda issue features the #IPGESTE conference with a focus on the workshops. More information on the second publication coming soon. The conference was supported by the Swiss Association for Geographic Education (VGD-CH).